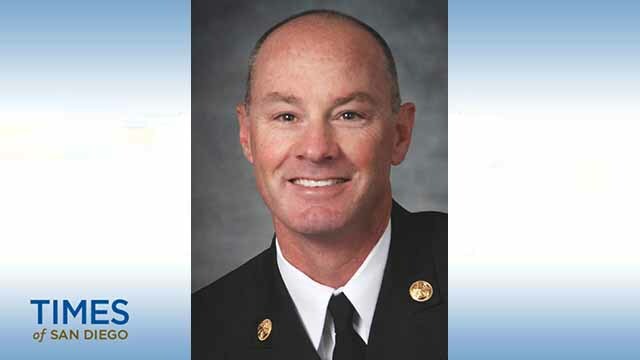 Colin Stowell is scheduled to be sworn in first thing Monday morning as the next San Diego Fire-Rescue Chief. The ceremony will take place at the same fire station where his career with the department began 30 years ago. Mayor Kevin L. Faulconer will officiate the 9 a.m. swearing in at SDFD’s station No. 1, where Stowell is expected to be surrounded by his family, colleagues and local government officials. Last month, the San Diego City Council unanimously approved Stowell’s appointment. Faulconer appointed Stowell after a national search that included interview panels with local firefighters. He takes over for Kevin Ester, who has been serving as interim fire chief since April. Stowell has identified several department priorities moving forward in his new role. A veteran of the Cedar and Witch fires that burned hundreds of thousands of San Diego County acres in 2003 and 2007, respectively, he emphasized the need to promote fire adaptive communities and strong partnerships with neighboring fire agencies.